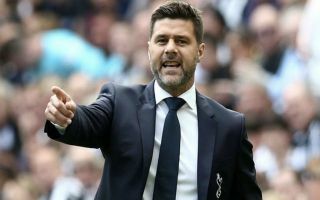 Tottenham manager Mauricio Pochettino has emphasised the importance of his squad remaining ‘strong’ in the face of adversity after three defeats on the spin. Spurs lost 2-1 against Watford and Liverpool either side of the international break in the Premier League before also losing by the same scoreline in Italy against Inter Milan on Tuesday. The Lilywhites Champions League opener didn’t go to plan at the San Siro, despite taking the lead via a Christian Eriksen deflected strike early in the second half. Mauro Icardi fired home an unstoppable volley to level the score with five minutes remaining and more heartbreak followed soon after for the away side when Matias Vecino headed home an injury time winner. After winning their opening three games of the new campaign, Spurs were being touted as genuine contenders for trophies across the board, however, in the wake of more recent results the media has been brutal in their assessment of Pochettino’s side. The Argentine tactician now has the unenviable task of lifting his players for their next league game on Saturday, against Brighton at the Amex stadium. The 46-year-old coach was in a fighting mood in an interview with the club’s official website on Thursday, coming out to defend his players and insisting that his team still has the belief to pull through this difficult period. “It’s not a period to be happy because the last few results are negative but always in football you need to bounce back and to be strong,” Pochettino said. “To show that we’re strong is to work hard and stay calm, knowing that the most important thing now is to try to win the next game. “It’s important to be strong and to believe more than ever in our way. Nothing changes, because sometimes periods like this happen in football. Brighton have already claimed the scalp of Manchester United at home this season and will fancy their chances of upsetting the odds once against this weekend. Spurs fans meanwhile, will be desperate for their team to get back on track as they bid to move back up the table and re-affirm their credentials as title challengers.